There is an API (Application Program Interface) for Digiprove, which enables easy integration of Digiprove into existing applications. It offers functionality for user registration, Digiprove certification on content, or verification of existing content. The application messages for each function are required to be in XML format. Note: There is a Software Development Toolkit available which abstracts this to a higher level of function/method calls in a number of object-oriented languages. The API is deployed as a SOAP service (also accessible through http get/post) and data is encapsulated in XML messages. Communication specifications are described at https://digiprove.com/secure/service.asmx. There is a "HelloWorld" function for test purposes. 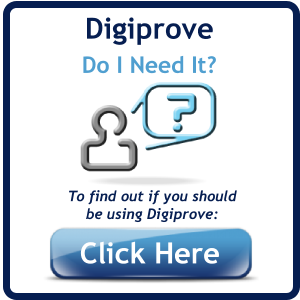 Please contact us at support@digiprove.com to obtain details of our test service for development use. Users can register through the API by submitting a user registration request. Specification of new user request. The API supports "Basic" membership only. 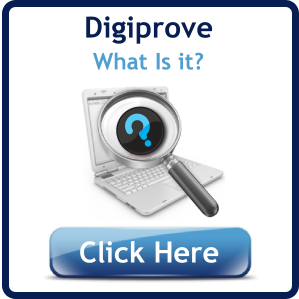 Higher level subscribers should register online at the Digiprove subscription page. Specification of Update User request. The API supports all subscription types. Use this method when you want to reserve a url from Digiprove that will be used as the publish location for a yet-to-be-performed Digiprove certification. This allows you to embed this reference inside the metadata of the content file before Digiproving thus allowing the fingerprint of the revised file to remain unchanged. Specification of Digiprove reserve certificate url. The content to be Digiproved (or the digital fingerprint thereof) is supplied along with user credentials. Specification of Digiprove certify request. Verify that given content (or entire document) is authentic, has not been tampered with or corrupted, and is the latest version. The content to be verified (or the digital fingerprint thereof) is supplied along with user credentials. Specification of Digiprove verify request.